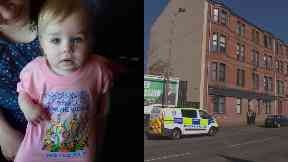 One-year-old Lexi Bergene fell from a tenement in Clydebank on Wednesday. A one-year-old girl who died after plunging from a third-floor window at a block of flats has been named. 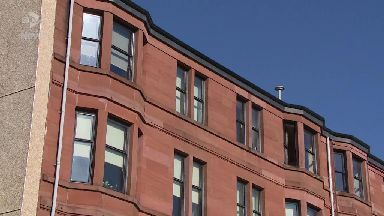 Lexi Bergene fell from a tenement on Dumbarton Road in Clydebank, West Dunbartonshire, shortly after 2pm on Wednesday. She was taken to the Royal Hospital for Children in Glasgow, where she was pronounced dead. The death is not thought to be suspicious. Inspector Steve Martin said the baby's family were left devastated by the death. He said: "The little girl's family have been left devastated by the loss of their child and we are investigating the circumstances surrounding what happened." Police are appealing to anyone who was in the area at the time and offered assistance to get in touch. Inspector Martin added: "I would also ask any motorists who were in the vicinity to check their dashcams in case they have captured anything which may be of significance."